CSE-M53N is a micro-sized embedded serial to Ethernet module which is pin compatible with CSE-M53. This module basically provides conversion functions to remotely control and manage serial devices over Ethernet. CSE-M53N is the perfect solution for environments where industrial operating temperature range (-40℃ ~ +85℃) is demanded and those who plan to move forward to next generation Internet protocol, IPv6. This embedded serial to Ethernet comes preloaded with basic communication functions (TCP, UDP, etc.) and strong security functions(SSL, MAC/IP filtering, etc. ), along with a packet fragmentation separator so that it can be used diverse applications. This serial to Ethernet has a high speed(up to 921,600bps) UART port which can be extended to RS232/RS422/RS485 in accordance with users environment. 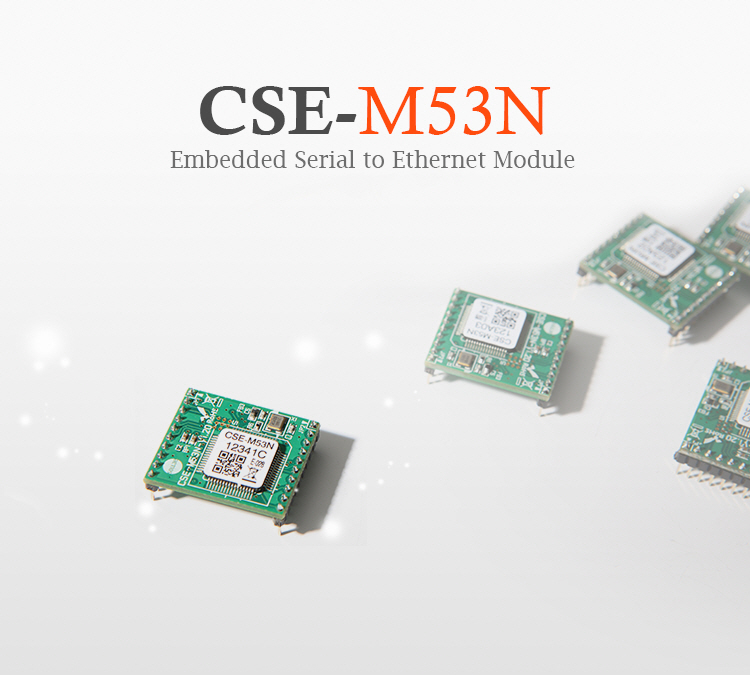 CSE-M53N is ideal for various environments such as RFID System, Remote Monitoring System, Extending distance between two devices through the LAN, etc. 2 What is different between CSE-M53 and CSE-M53N?